by Wilfred Thesiger | Biographies & Memoirs | This book has not been rated. 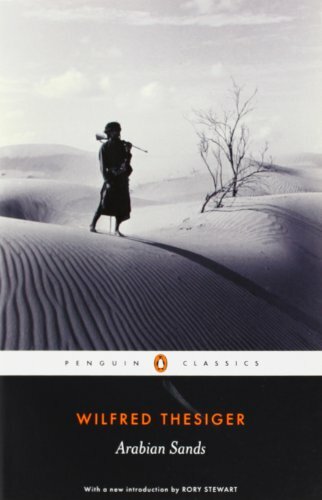 "Arabian Sands" is Wilfred Thesiger's record of his extraordinary journey through the parched "Empty Quarter" of Arabia. Educated at Eton and Oxford, Thesiger was repulsed by the softness and rigidity of Western life-"the machines, the calling cards, the meticulously aligned streets." In the spirit of T. E. Lawrence, he set out to explore the deserts of Arabia, traveling among peoples who had never seen a European and considered it their duty to kill Christian infidels. His now-classic account is invaluable to understanding the modern Middle East. A book from my wishlist, you do know how to make my day!